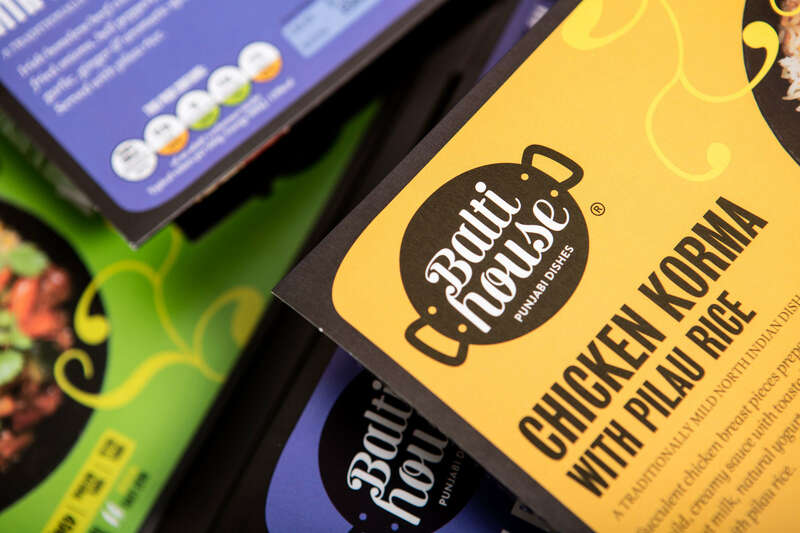 We worked closely with Balti House founder Hyad Syed, to help solidify their position as a premium Indian food brand in the chilled convenience sector. The existing identity was more suggestive of a cheaper own branded or discount product and therefore a new identity was needed to change the perception and align more with their true product positioning of natural and authentic. Having tackled the identity including a new mark which introduced the Balti cooking pot as the central element to the identity, we began to work with them on their packaging design, creating new product formats, stocks, employing different printing techniques and finishes to enhance the product stand-out on shelf. The new packaging has led to increased sales as high as 40% year on year since launch.